Invoice history based on 307 reviews. 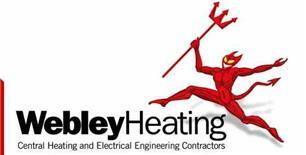 Webley Heating is a friendly, family run business established in 1971 by Alan Webley. The company is now run by his son, Mark, and consists of a team of seven employees and all but two have been with the company since its formation. We undertake many contracts in the Dorset and Hampshire areas, ranging from general household boiler servicing and repairs, domestic boiler installations to larger projects for commercial businesses and institutions. Over the last 30 years the quality and reliability of our work has been reflected in the many letters received from satisfied customers.